On 2-29-2012 at approximately 8:00 a.m., the California Department of Justice, assisted by the Humboldt County Drug Task Force, Humboldt County Sheriff Drug Enforcement Unit and Humboldt County Sheriffs Office Community Response Unit served two search warrants in the Greenwood Heights area of Eureka. 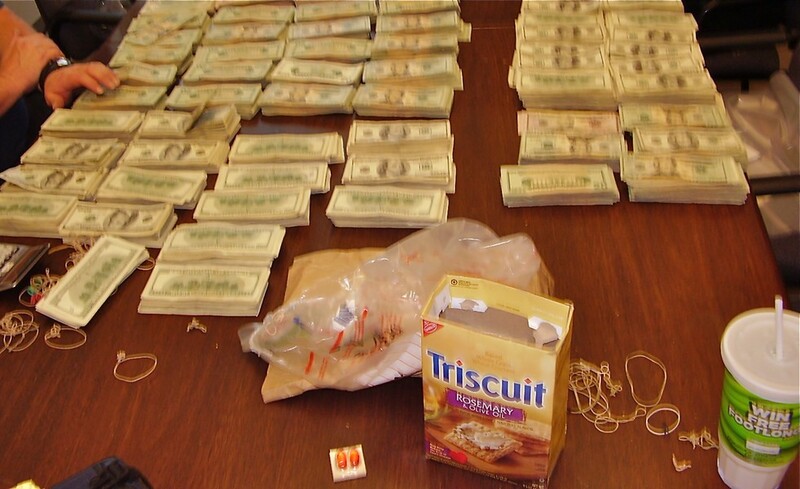 The search warrants were obtained by the California Department of Justice who requested assistance from the Sheriff’s Office and Drug Task Force. The warrants were for a residence in the 5100 block of Greenwood Heights Road, Eureka and three structures located in the 4500 block of Greenwood Heights Road, Eureka. When the officers arrived at the 5100 block residence, they met with John Eaton Cromwell, 46 years old, and Elisabeth Nergaard Olsen, 42 years old along with their four small children. 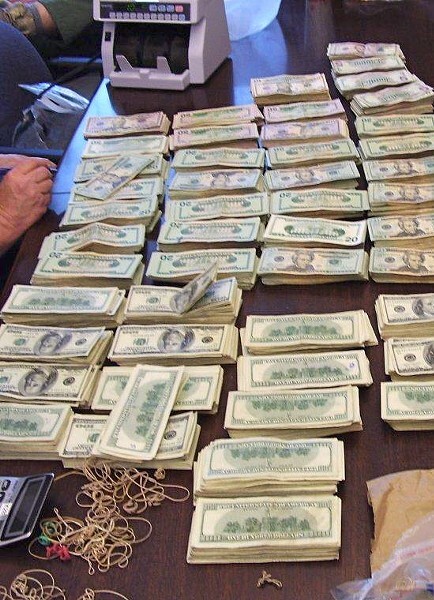 During a search of their residence, they located approximately $387,000.00 cash and $10,000.00 in money orders. Cromwell and Olson are the owners of the second parcel located in the 4500 block of Greenwood Heights Road, Eureka. Officers serving the search warrant at located a sophisticated marijuana growing operation that was powered by Pacific Gas and Electrical Power. The marijuana grow contained 3,881 marijuana plants ranging from four inches to four feet in height, growing under 20 one-thousand watt grow lights. Officers also located 110 one-pound bags of marijuana bud with an estimated value of $220,000, and approximately $33,000.00 cash. 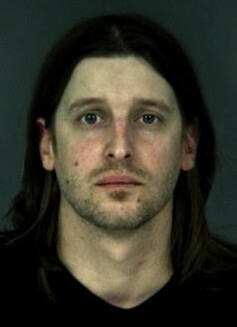 They located another male, Charles Bruzza, 34 years old from Portland, Oregon that was living at that address. Officers were able to tie Cromwell and Olsen to the marijuana grow based on evidence they located, however they issued them a notice to appear (citation) due to the small children at the residence. They were cited for cultivation of marijuana, possession for sale of marijuana and maintaining a drug house. Bruzza was arrested and transported to the Humboldt County Correctional Facility where he was booked for cultivation of marijuana, possession for sale of marijuana, and possession of over an ounce of marijuana. His bail is set at $75,000.00. Due to electrical fire hazards at the marijuana grow operation, the Humboldt County Planning Department and Pacific Gas and Electric were called to the scene.